The best cardio workouts to lose weight fast are those that significantly increase your heart rate and blood circulation. In this article we’ve picked the best of the best. Cardio exercises are the basic exercises that we do in our everyday life routines to keep our bodies in shape. They are also performed to avoid serious diseases like high blood pressure, cholesterol and diabetes, which are primarily caused due to immobility. Cardio exercises not only keep you in shape by building your muscles, but they are a great and one of the most effective mean through which you can burn your extra calories. Cardio exercises include running, cycling, aerobics, zumba, etc. Even power yoga is considered a cardio workout because it’s an intense physical training like any other cardio. Below I have explained some very basic and effective cardio workouts that will not only keep you fit, but also help you in shedding your extra pounds. This is the most common and popular form of cardio training. It’s easy to start with and the running benefits are numerous. For example, when you run, nearly all major muscles in your body are working. By running you can burn more calories as compared to any other cardiovascular exercise. You can either go running outdoors (which is best), or you can do it on a treadmill at your home or in a gym, wherever you usually work out. Running outdoors is more effective as it not only helps you exercise but it also keeps you fresh, happier, and stress free. The fresh air will also help as an energy booster for all your body systems. Cycling is a great workout exercise especially for your lower body parts. It helps in toning up and keeping in shape your calves, thighs, hips and even your belly. Nowadays, due to our busy and hectic routines, the traditional outdoor cycling is being replaced by stationary exercise bikes. Keep it in your mind: cycling will only help you lose weight fast if you do intense pedalling. Even by cycling for 15-30 minutes daily with full concentration and speed you can get amazing results. Circuit training is a set of training exercises that we usually do at great speed to increase muscle mass. It’s basically carried out to build and enhance your muscular endurance. It’s a very interesting and full of fun cardio exercise, as you don’t get bored easily doing them. You have to quickly keep on changing from one exercise to another. After completing a whole round of circuit training you can burn 30% more calories than by performing any weight lifting exercise. Rowing is another good technique to tone up your muscles. During rowing you are working out all your body muscles from your arms to your legs. It involves the working of both your upper and lower body parts equally. It’s one of the best cardio workouts to lose weight fast because it gets you exhausted in no time. Just by doing as little as 20 minutes of rowing daily, you will be amazed to see the results. It will not only tone up your biceps and triceps, but calves and thighs as well. That’s because every repetition you do on the rowing machine involves 84% of your muscles. 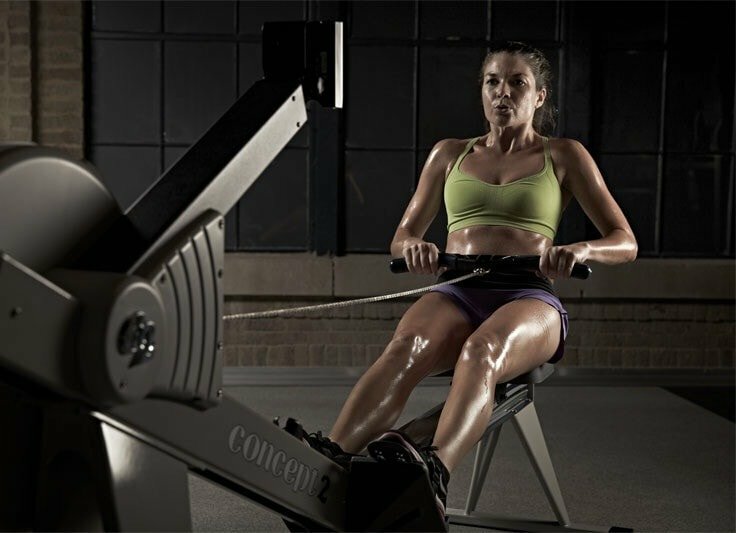 Studies have shown that rowing can help you burn calories faster than any other form of cardiovascular exercises. And those who do row regularly have more muscular growth as compared to those who don’t. Zumba is a fun way to burn calories. It’s an exercise fitness program in which you exercise by dancing on different songs to burn out your excessive fats. What a great way to exercise! And you don’t feel bored either. You end up losing a lot of body fat in just one hour of Zumba class every day. Zumba is a form of new aged aerobic training in which you not only strengthen your core, but also tone all body muscles. Boosts your mood (after a complete class of Zumba you will fresh, energized and happy). Helps in enhancing your body’s endurance level. Power yoga, or Ashtanga, is a very fast and intense form of yoga workout, in which you are continuously changing your postures. During a session of power yoga your body builds internal heat and increases your stamina. After regularly doing power yoga you become stronger, more flexible and, what’s most important here, weighing less. Power yoga isn’t just helping you shed a few pounds, like a typical cardiovascular workout; it also gives you relaxation and makes your mind stress free, like a traditional yoga exercise. In short, it’s a complete exercise for both your body and soul. Due to its uncountable benefits, power yoga is becoming very popular among people who are into fitness.